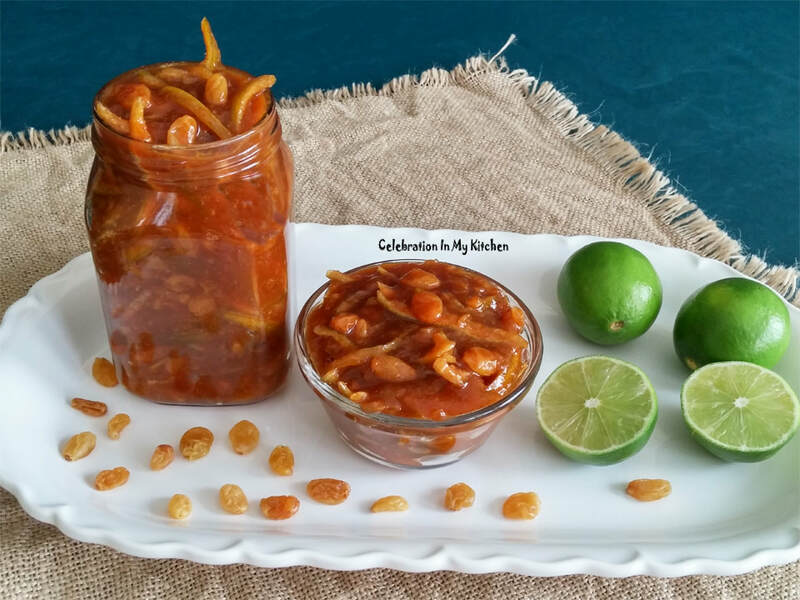 A vital ingredient, lime is used to enhance sweet or savoury dishes. Economical and readily available throughout the year. Much cheaper when in season and perfect for pickling. Select limes that are firm, heavy, with thin skins and free of any blemishes or discolouration. 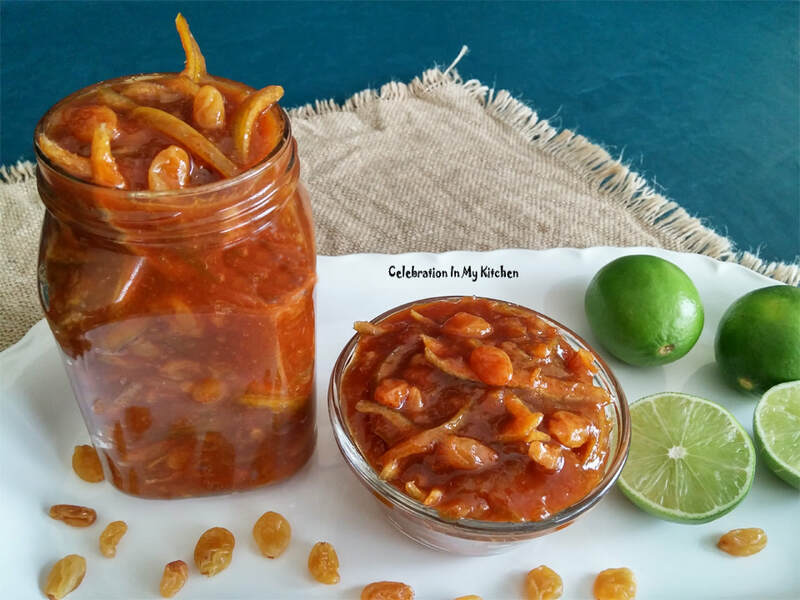 The sweet and sour lime pickle is referred as a "chutney". Very easy to prepare with sugar caramelized to impart the rich hue and sweetness. Addition of garlic, ginger, a touch of chilli powder to provide the subtle heat along with vinegar to balance the overall taste. Serve this delicious condiment to perk up any meal, at a casual get-together with tortilla chips, crackers or toasted pita bread. Also, can be blended with some cream cheese for a tasty dip that is sure to please. One of the healthiest fruit, lime is rich in vitamin C and antioxidants. Aids in digestion, detoxification, weight loss and lowering cholesterol. Controls blood pressure, boosts brain performance, prevents formation of kidney stones, beneficial for skin and hair health. Used for its anti-bacterial or anti-aging properties. 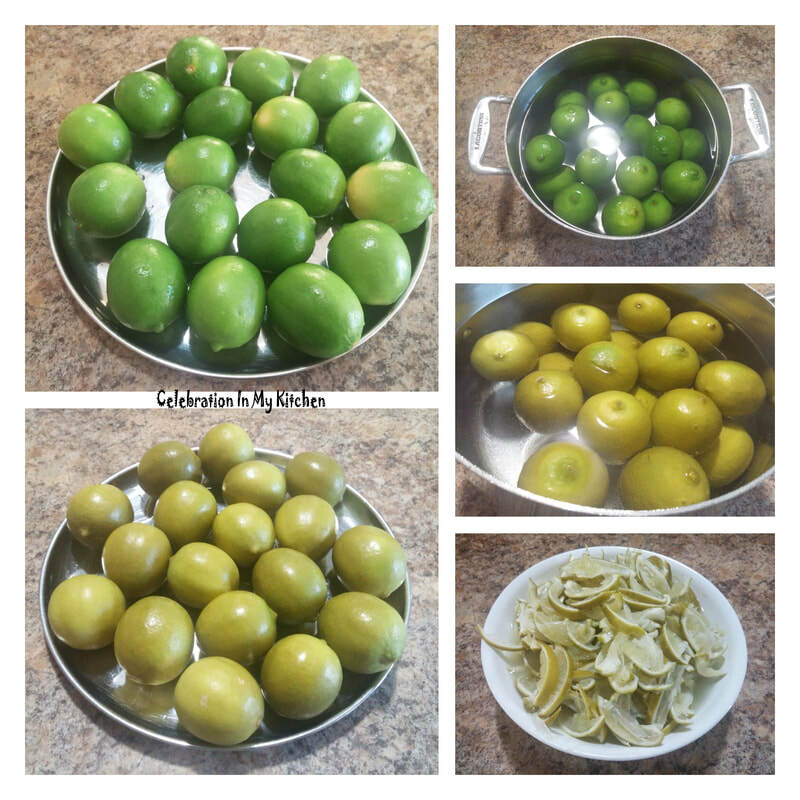 Cut each lime into half lengthwise and then, into thin strips retaining the juice. In a pan, caramelize sugar with 1/4 cup water to dark amber in colour. Do not stir sugar but swirl the pan. Ensure not to burn the sugar. Carefully add the vinegar and stir with a wooden spoon until well combined. 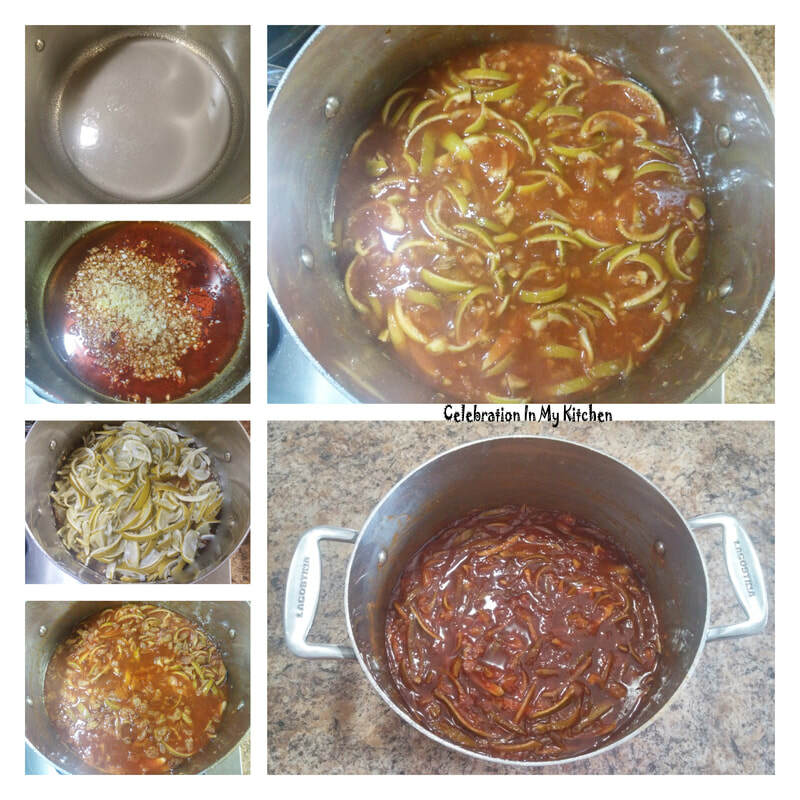 Mix in the garlic, ginger, chilli powder, lime strips along with the juice and salt. Continue to cook on medium heat, incorporating raisins after few minutes, ensuring to stir frequently to a thick consistency. Cool and bottle in a sterilized airtight container. Store in a cool dark place to mature for 15 days or longer before consumption. If desired, substitute sugar with jaggery. Melt jaggery and then follow as above. Adjust sweetness, as desired. Part of the sugar can be caramelized at the start with the rest included at the end, if needed. Preheating the whole limes in water reduces bitterness. Though the lime strips were cooked down until the consistency was thick, they were still firm in texture. Limes used were seedless. Ensure to discard seeds, if any.